The eight of us were able to paint last night during "artist's only" hours in Claude Monet's garden. The tulips were in full bloom and blooming everywhere. 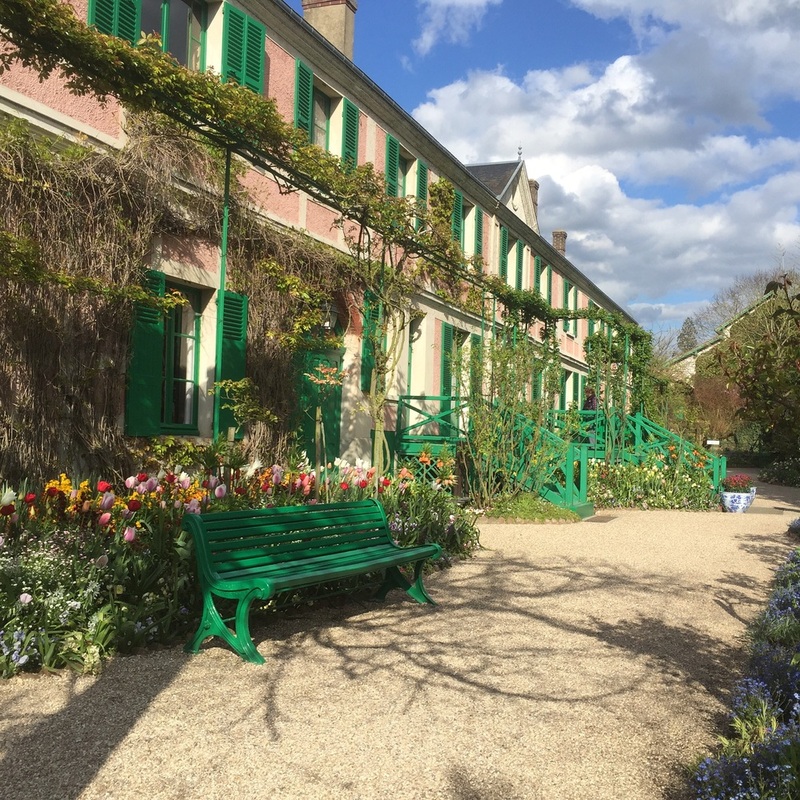 It was a magical experience to have the gardens almost to ourselves and to be able to paint where Monet painted. My attempt to capture Monet's home in my watercolor journal.